What better way to start the new year than by going on a cruise. But living in Belgium/Europe it is not that easy, or rather there is not that much choice, unless you fly to the other side of the Atlantic. Only a few companies are offering European cruises during winter: MSC, Costa and NCL. Having sailed on NCL Getaway in january and having visited MSC Magnifica in october we decided to look for a wintercruise with either NCL or MSC. Initially we intended to go away for a week. This meant that MSC would be our choice as NCL only offers cruises 10 nights or longer. The fact that MSC Splendida departs from Marseille was another advantage as we didn’t really feel like flying to Barcelona or Rome. We compared sailings, cabins and decided which cruise we were going to book. That is until the next morning when we checked prices again and noticed that the fare for certain NCL cruises had dropped considerably. For only 150euro more we could sail 11 nights and have a balcony stateroom instead of an oceanview. So we changed our minds and hurried to the travel agent (normally we do all our bookings ourselves, but because of our loyalty card with this travel agent we made an exception). 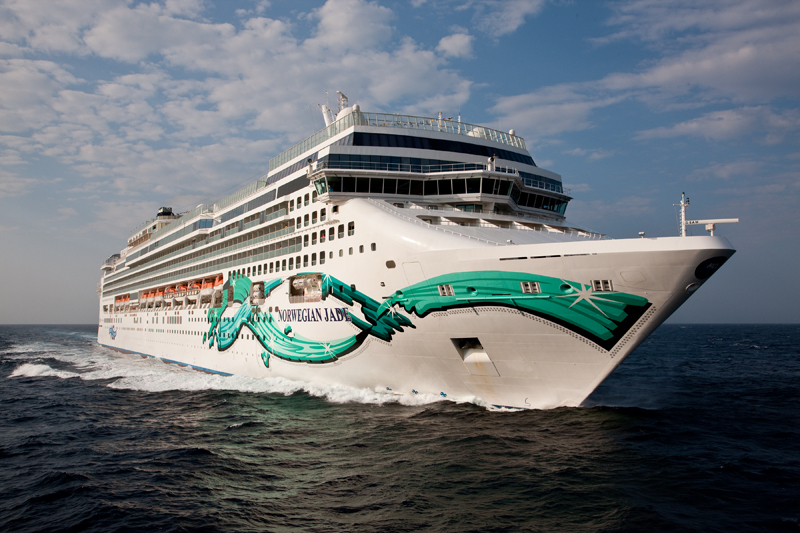 This will be our second sailing with Norwegian Cruise Lines and our first on the Jade. NCL Jade was originally built as the Pride of Hawaii for the NCL America division where she joined the Pride of America and Pride of Aloha. In 2007 NCL announced that Pride of Hawaii would be withdrawn from the Hawaiian market and she was subsequently redeployed to Europe in 2008. Despite the changes to the name and livery (artwork on the hull), Norwegian Jade maintains much of her original Hawaiian themed decor. Tropical flowers, Hawaiian landscapes, and Hawaiian names remain throughout the ship’s public spaces and will turn this wintercruise into a warm experience. Previous IHG Set Your Sights … on something else.